READY TO SHIP!!! 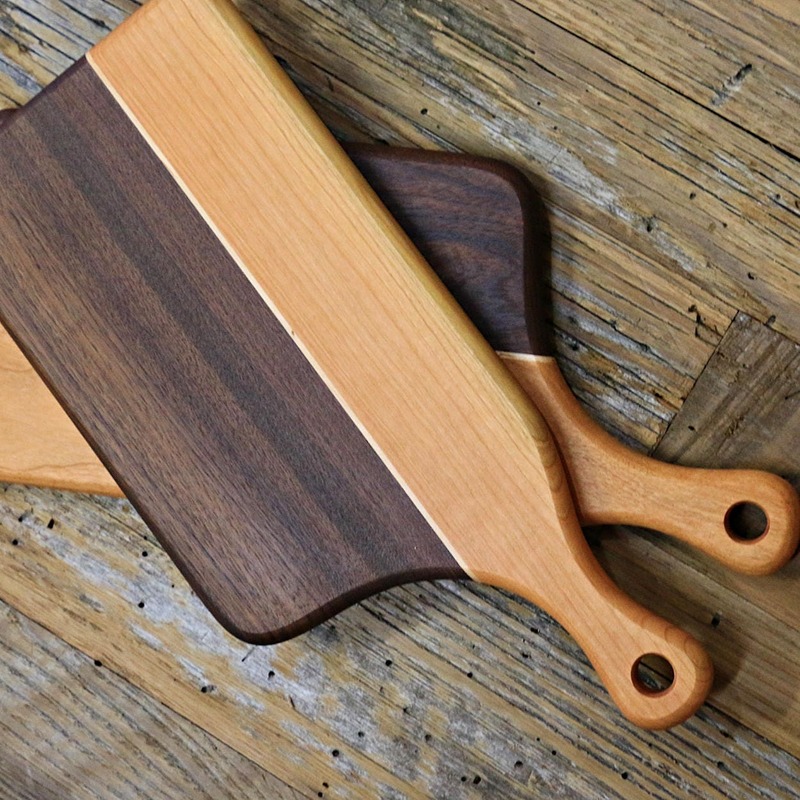 This purchase is for (1) small cutting board. 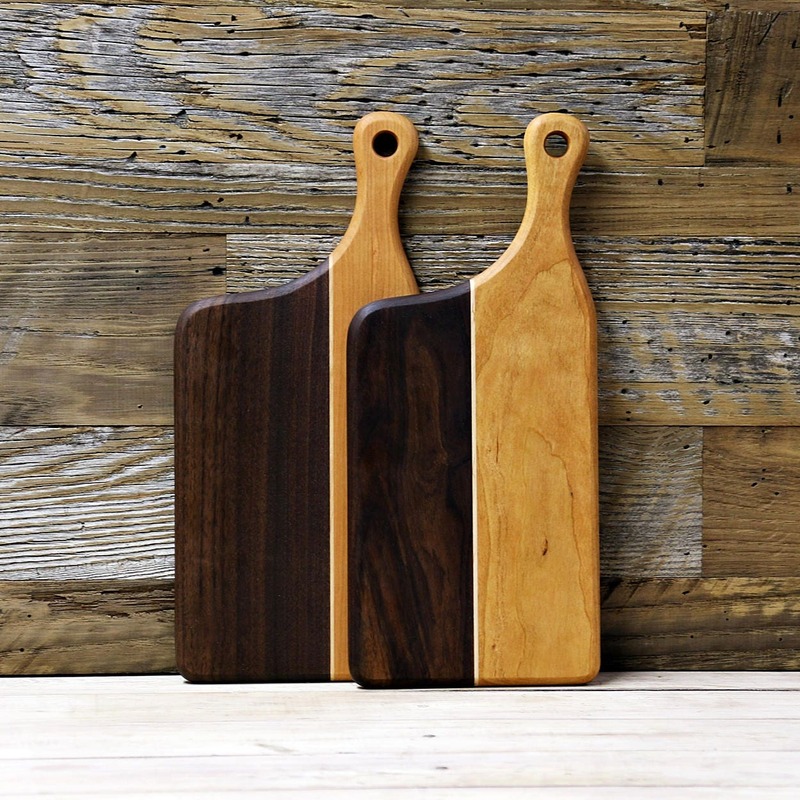 Your viewing a small wood cutting board, that is made from cherry, walnut and a thin strip of maple for accent. The handle is cherry and the other side is walnut wood. 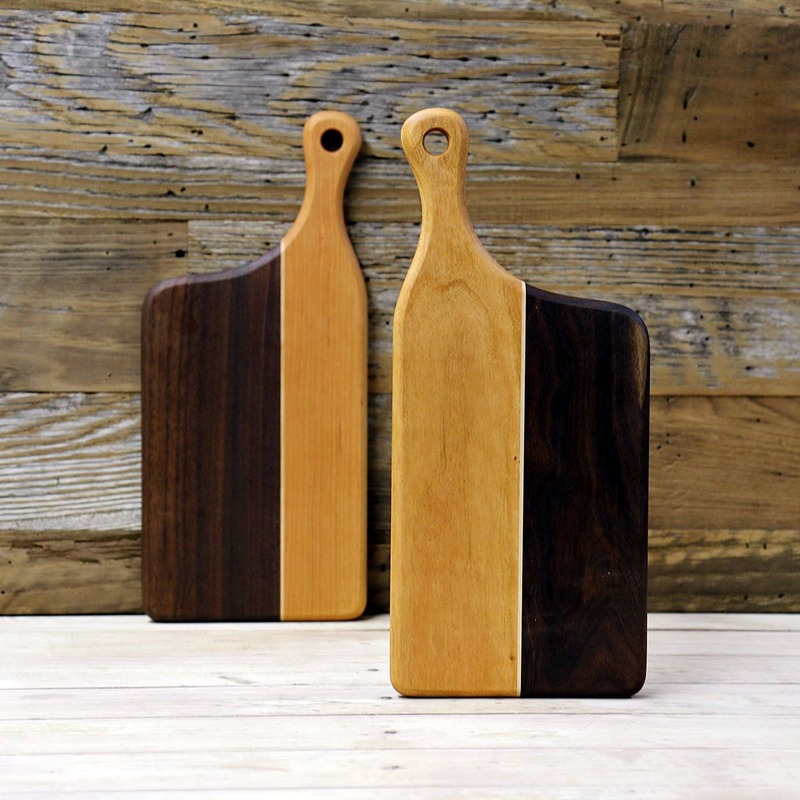 This board is a nice size if your looking for a "smallish" go to cutting board. Sanded and finished to a smooth touch. 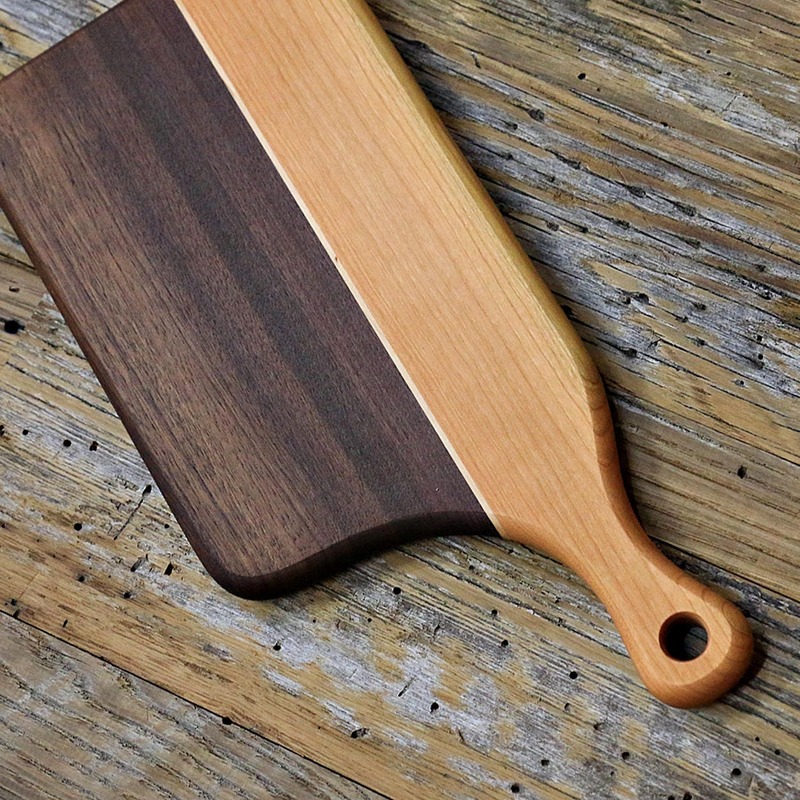 The whole board is completely rounded on the edges, and it sports a small hole for hanging/display. 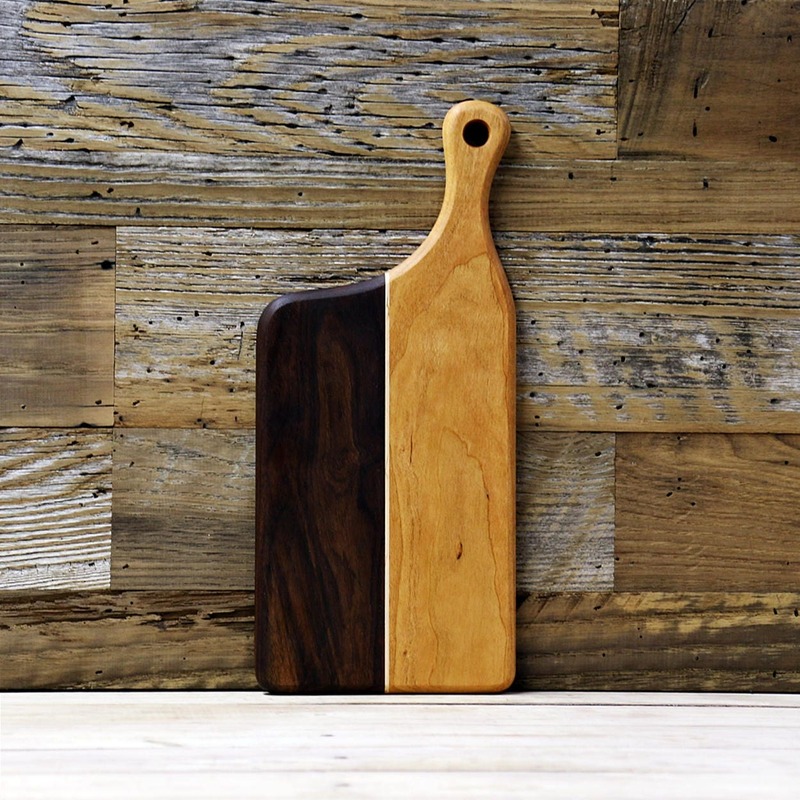 The above photos are an example of how the boards will generally look, with variations in the strip proportions, mainly widths of each strip, that will vary from board to board. Finished with mineral oil. Rewaxed with mineral oil/beeswax at time of shipment. 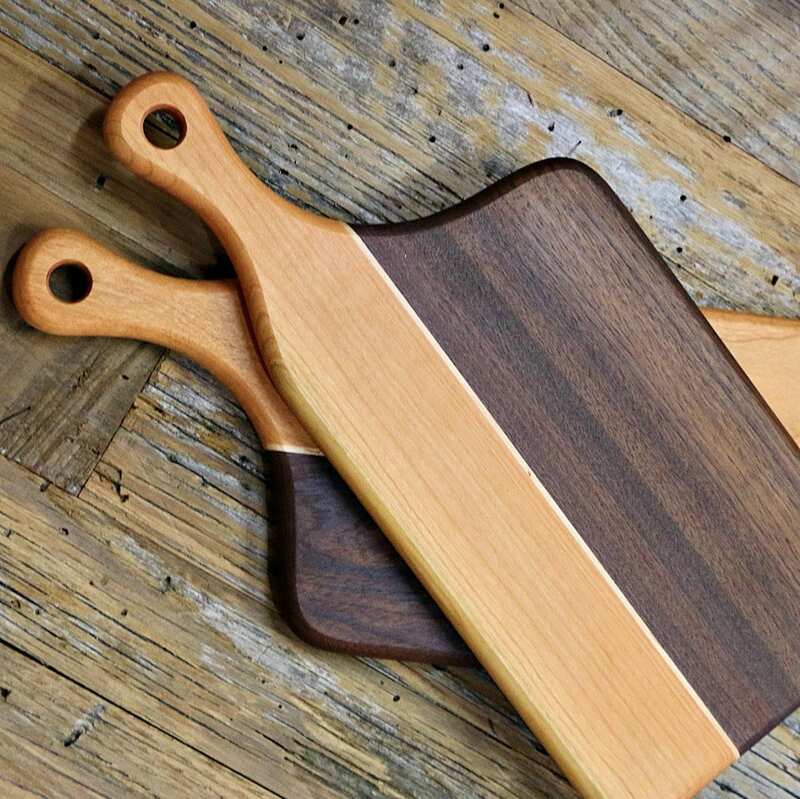 NOTE: You are purchasing a small cutting board that is similar in looks to the ones above.